This summer we want to start a conversation on why holidays matter – to everyone. As the weather turns warmer, many of us look forward with relish to the possibility of a holiday and a bit of time to sit back and relax. Just the thought of a break from our usual routine can sustain us through the winter months, and the benefits are felt long after the suitcases are unpacked and normal service has resumed. However, for many carers and those they care for, having a break from their usual routine is simply not possible. Planning a holiday can sometimes be a stressful process, but when you add in the complexity of personal care, specialised equipment, accessible accommodation, and adapted transport – and the cost involved in sourcing these – it can often seem overwhelming and a holiday remains out of reach. Short breaks, or holidays, are widely recognised as being fundamental to carers to help alleviate the physical and emotional demands of caring and to help sustain the caring relationship. Short breaks can be critical to a carer’s sense of health and wellbeing and, when provided in a way which meets the needs of the carer and the cared for person, can help prevent crisis support being required. But barriers to short breaks remain. 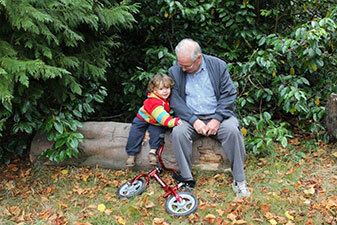 A 2012 report* showed that 57% of carers had not had a break, and almost half didn’t know how to access a short break. We want to change that. We want to start a conversation about why holidays are important to everyone, including carers and those that they support. We want carers to have the opportunity of a holiday too, through better information, support and entitlements. We’ll start by talking about it – we’d love it if you would join the conversation too. A big thank you to everyone who contributed to our online campaign, especially our ‘bloggers’ for sharing their perspectives on Why Holidays Matter. We hope we helped shine a light on this important issue and we will, of course, continue to work hard to raise awareness of the huge health benefits of holidays to carers, those they care for, and their families. We explored the importance of holidays from various different perspectives. 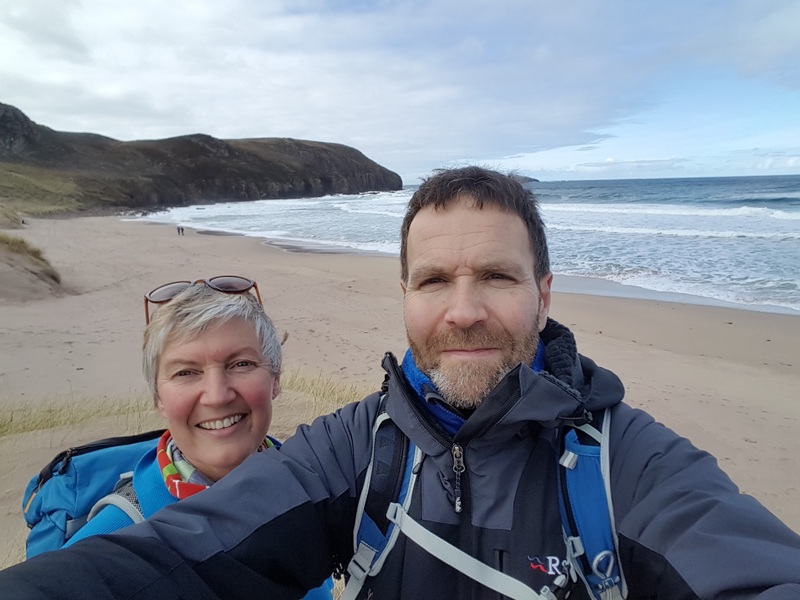 Philip Bryers commented in his blog about the ‘surge of energy and achievement which is released by a proper break’ and the simple exercise of switching on the ‘out-of-office’ message to take away all work-related intrusions. However, Lynn Williams explained that for many carers the start of the summer can be a very emotional time. Many services they rely on close down and they are left watching on the side lines as families head off for their annual vacation. But we also heard from services provided by Leuchie House, Altogether Travel and Dementia Adventure, amongst others, that are all working hard to make holidays more accessible and personal. The Carers Act comes into effect in April next year and it’s significant that access to breaks features prominently on the face of this legislation. From 1st April carers of all ages will have the right to a support plan and as part of this consideration must be given to the need for a break from caring. Through their individual plan carers should be helped to access support in their community that will assist them to have some much needed time-out. For those carers who meet local eligibility criteria, we would expect this support planning to go further and that provision will be made to ensure their needs for a break are properly met. The legislation is an important step forward and gives carers access to support in their own right. However, more will need to be done if all carers are to be able to have the breaks or holidays they deserve. And with increasing pressure on public finances we will have to find additional ways of delivering breaks, perhaps through initiatives such as Respitality which is tapping in to the generous support of hospitality and tourism businesses across Scotland. Other developments such as the excellent Euan’s Guide and the Scottish Government’s efforts to promote inclusive tourism, will also make a difference by helping our hospitality sector to respond to the growing demand for more accessible holiday provision. So thanks again for your support and interest in Why Holidays Matter. Please stay in touch. Alison Jones of Coll Bunkhouse tells us Why Holidays Matter to visitors to one of the more remote parts of Scotland. 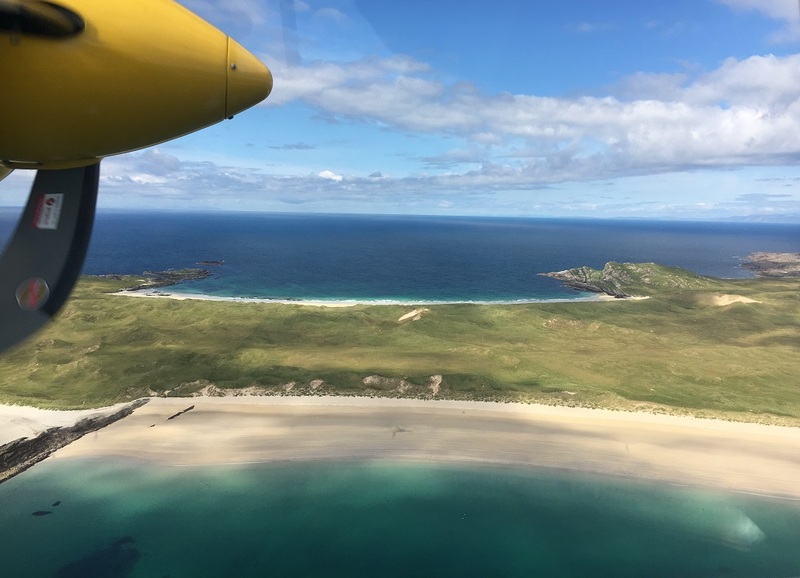 We, at Coll Bunkhouse (on the beautiful, hebridean Isle of Coll), are delighted to join in the conversation #whyholidaysmatter. Why DO Holidays Matter? It seems simple, doesn’t it? But now we have to try and put it in to words. So we asked our friends, Rachel and Sam. Why a Coll-iday? When is best to visit? Where can I stay? Coll has peace, tranquillity, ample opportunity for solitude, a great sense of community, and a warm, friendly welcome. Coll makes for an excellent destination all-year round. In summer, our dunes are in bloom with machair, the days are long, the community is often abuzz with events, but you can still get one of our stunning 26+ beaches all to yourself. Our environment is teeming with wildlife all-year round. You don’t have to make much effort to see an otter, a basking shark, a hen harrier, or a variety of other, sometimes rare, wildlife. Warmed by the Gulf Stream, our winters are warmer than the UK mainland. Add to that our astounding starry sky, with regular views of the Milky Way and occasionally the Northern Lights, and Coll is just perfect for a winter break. Due to our lack of light pollution – we have no street lights – Coll has been awarded Dark Sky Community status. Throughout the year there are a number of events from quiz nights to concerts. There are also a number of annual events including beach football, fishing competitions, dances, agricultural show and Coll Half Marathon. Visitors are always welcome to join in whatever activities are taking place, even a gym session at the hall. If you like the outdoors, Coll is ideal for cycling, kayaking, fishing and walking. You could even bring a surfboard. On rainy days, there are sports facilities, a gym, and a nice seating area with gallery at the local community centre, An Cridhe. We may not have a supermarket or a MacDonalds, but we have 2 shops where you can purchase a wide range of provisions catering for all dietary requirements. If you want to treat yourself to a meal out, we have 2 excellent restaurants offering a wide variety of choice. There are also a few places where you can purchase gifts including a selection of locally made or designed gifts. If you need to stay in touch, much of Coll has a good mobile signal, and the hotel has a payphone. There is a wide choice of accommodation on Coll. Including B&B, self-catering, and Coll Bunkhouse. 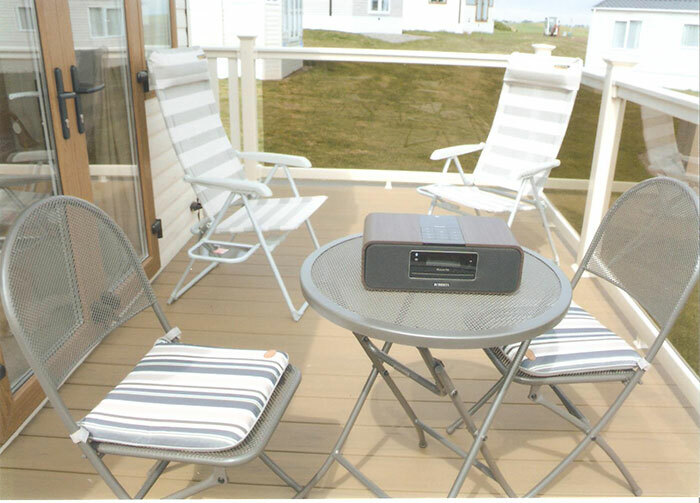 The bunkhouse is a modern-build, self-catering hostel situated in the heart of Coll’s only village, Arinagour. Close to all amenities and next to the community centre. It has level access throughout and a wet room with shower (incl. handrails & seat). There is ample parking and wifi. You can book a room, a single bed, or even the whole bunkhouse at www.collbunkhouse.co.uk. If you can’t find what you want, or if you are visiting as a large group, please contact us directly to discuss your requirements. The benefits are manifold for families & impact positively upon mental and physical health. The end of the summer break can be a fraught time for families of disabled children, with the usual things to organise, along with ensuring that their child’s additional support needs have been adequately considered and arranged for, to enable a smooth a transition. For some, another round of meetings and appointments beckons. Families juggle a range of demands, such as caring for other family member or managing their own health condition, paid work or studying. It’s no wonder many start to think about organising a future holiday, as it may feel like the only way to get a break is to leave the country (or at least their home town!). 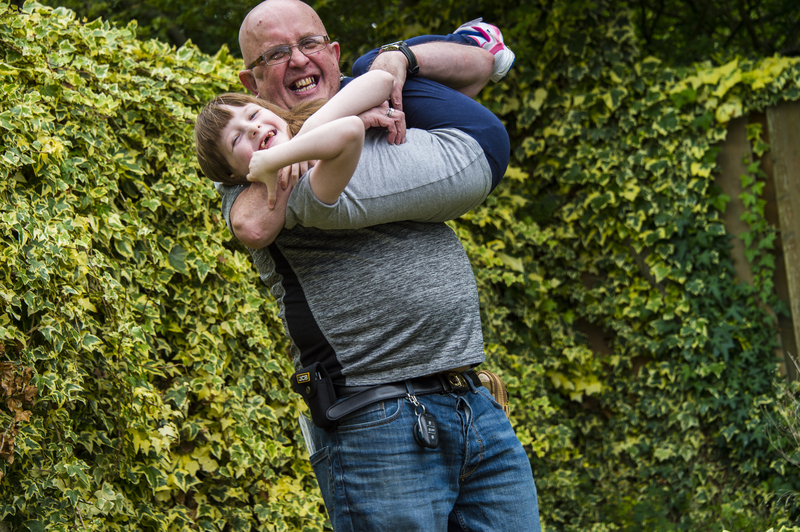 Family Fund provides grant support to families on low incomes raising disabled children for a range of essential items, including support which can be put towards a holiday. Of course, for some, the stress and costs involved in taking a full holiday prove too much, so Family Fund also provides a range of grant items which can support short breaks such as day trips costs, outdoor play equipment or clubs and activities costs. Last year we made 2,253 grants for family breaks for families in Scotland and 263 grants for day trips. Aren’t holidays and breaks a luxury anyway? Not in Family Fund’s view, nor the view of many other charities, academics and research bodies. To find out more about how Family Fund can help families raising disabled or seriously ill children and how to apply for a grant, visit www.familyfund.org.uk. The opportunity to take a meaningful break is fundamental to the wellbeing of adults and children alike. The benefits are manifold for families and impact positively upon mental and physical health. Think about happy memories from your own childhood, and it’s likely that holidays feature. Looking forward to a holiday can sustain you when day to day life is grinding you down; the opportunity to spend time with those most precious to you is invaluable and memories made can be treasured for years to come. Families of disabled children are not a homogenous group. Each family has a unique composition, circumstances, needs and preferences. So the holidays available to them need to reflect this diversity. Aged 12, my brother listed “staying in Aberdeen on holiday” as his 3rd favourite thing (“going to the cinema “and “snow” took the top spots). As a family on a low income, our holidays couldn’t be expensive. We enjoyed spending time with family, visiting castles, playing at the beach or park and taking part in activities. These are the sorts of simple experiences that many families crave as they provide a break from life’s stresses and strains, a change of scene and the opportunity to grow, develop and bond. Sometimes holidays don’t work out as planned. For families of disabled children there can be a higher risk of the unpredictable happening due to a child’s health or condition or as a result of services being inadequate. Nevertheless the opportunity should be there, but many families still cannot enjoy the benefits of a holiday without additional support, whether formal or informal, from family or friends, statutory or voluntary services. It is imperative that that help is there for those families that need it the most. To find out more about how Family Fund can help families raising disabled or seriously ill children and how to apply for a grant, visit www.familyfund.org.uk. No matter how vital the break it has to be personalised, at the right time, realistic and flexible. What is a creative short break? Over the past six years this question has been asked over and over again by professionals, carers and even ourselves! The answers to those questions has taken our fund through the biggest learning curve into what a short break really means to people living with dementia their family, friends and carers. – to help sustain them in their caring role. It had to be a credible alternative to the traditional concept of respite. The system makes big assumptions of what people need and it was up to funds like ours, with money from Shared Care Scotland, to work with the reality of caring and what would really make the difference for those needing a break! “My mum constantly follows my son around the house. He needs some space to do his homework and for us to spend time together” – a carer applying for a shed for her eight-year-old son. Even though we could only award a limited amount of money, people made the best of the funding. We would suggest talking to family and this often led to offers of help and very creative ways to make the money go further. Those positive conversations also lead to people realising that they controlled their break and maybe they wanted to do something else instead. Continuing these positive conversations allowed us to react when people’s circumstances changed, as lives touched by dementia often do. About two thirds of breaks where for both carer and cared for – together. Sometimes the break is all about being away from the routine of caring, not the person you love. And when we were asked to help fund decking to allow a caravan to be used for the whole family we were so pleased to be able to say yes! Be creative out there. Create time to live. Direct your own support. Tick box committees need not apply! I really look forward to meeting up with the group members and have made new friends. Parent Carers Together (PACT) groups. COVEY has been providing a befriending and mentoring service for vulnerable and at-risk children and young people in South Lanarkshire for 25 years. In 2014 we expanded our services to help parents and carers through supportive befriending relationships. We realised that by helping the whole family we could provide the space for change as well as respite. In 2016 we started our PACT (Parents Carers together) support groups for the parents, guardians and carers of some the children who benefit from our services. The groups, coordinated by a member of COVEY staff, are delivered fortnightly, typically for nine to 12 carers. A group will meet for around two hours and take part in activities of their choosing. This has included things like walks, mindfulness training, badminton and creative arts sessions. The participants appreciate the break from routine which can dominate their lives. Often that routine comes at the expense of any social activity, and is eventually detrimental to their confidence and aspirations, as anything other than their caring role becomes unfamiliar and unsettling. This results in social isolation, low confidence and fragile well-being. We often take for granted the chances we have to take time out for ourselves, whether that is going for a coffee, pursuing a hobby, or attending a club. Simple opportunities like these can be hugely important to carers who are restricted because of their caring role. PACT gives carers the chance to do something that is just for them, where they can share their stories, meet other people in similar situations and expand their networks. We’ve seen some amazing transformations thanks to PACT. This is simply due to providing someone with a break, two hours every two weeks where they can enjoy a safe emotional environment, where they can strengthen themselves, and their family relationships. That is why holidays matter. Mairi O’Keefe, CEO of national respite centre Leuchie House looks at some of the additional challenges to having a break if you have complex care needs. If you need round-the-clock support with medical and personal care, or help to eat and drink, or a hoist to get you from your wheelchair into bed, or adapted transport to be able to get out and about, the prospect of going on holiday can seem very distant. Yet ironically, if you have a long term health condition, being able to have regular breaks is critical to your health and wellbeing. It’s likely that most of your day-to-day care will be provided by your spouse or another family member, on whom the daily demands of caring will inevitably take their toll and leave them in dire need of regular breaks too. A recent report by Carers UK revealed that one in four of Scotland’s unpaid carers had not had a single day away from caring in five years. While there are a number of dedicated short break and holiday facilities for people with long term conditions in Scotland, most don’t offer 24 hour care. So while they give a very welcome change of scene, there is no real break for the care-giver from the physical and emotional demands that come with providing 24/7 care. At Leuchie House in East Lothian we have developed a model that provides short breaks with 24 hour care for people with a wide range of long term physical and neurological conditions, which – crucially – also offer a complete break from caring for the care-giver. Around half of Leuchie’s guests have very complex care needs, requiring high levels of support. Our focus is on helping every one of our guests have a holiday in the true sense of the word, with the chance to have new experiences, meet new people, have fun – all the things we’d all hope for from our holidays. Carers can choose to join their loved ones at Leuchie, while we provide all the care, or to use the time to have a separate break and chance to recharge. Watching both guests and carers reconnect with things they used to enjoy and discover new experiences is one of the real joys of working at Leuchie House. On a daily basis we see so many other benefits too, including increased independence, reduced isolation and loneliness, and renewed self-esteem. We know so many more people could benefit from this kind of integrated caring holiday experience. Yet cost remains a barrier, with the availability of funding limited and subject to huge differences depending on where you live. The Carers (Scotland) Act promises to herald a new era for carers from April next year with a duty to provide support for respite breaks for those who need them. This is a real opportunity for Scotland to make a huge difference to thousands of people. At Leuchie we’re ready and waiting to play our part. Stephen Chalmers, founder of Altogether Travel and board member at Shared Care Scotland shares his thoughts on why holidays matter. Who doesn’t love a holiday? A chance to get away, perhaps escaping to an old favourite destination that brings back happy memories of holidays from the past or experiencing somewhere new, possibly a destination that’s been on your list for some time. A holiday means different things to different people. For some it allows them to recharge the batteries, relax and unwind, others seek something more adventurous or energetic. That’s the thing: no two holidays are the same. They are unique to that person and everyone has their own reasons and rationale for getting away. Back in 2011 I had an idea to create a supported travel company and I founded Altogether Travel the UK’s first care registered travel company. I wanted to create a travel company that would offer freedom, choice, flexibility and companionship to individuals and families that have some form of care need allowing them to consider a holiday once again. Fast forward to 2017 and we have accompanied and supported hundreds of customers on holiday to the UK, Spain, France, Italy, Poland, Holland, Malta, Portugal, the USA, Canada, Jamaica, and Kenya to name just a few. The great thing about Altogether Travel is we don’t have a brochure as we believe that would limit people’s choice, instead our customers tell us where they want to go and we create their ideal holiday. We never know where we will end up next. We have a team of holiday companions whose job it is to go on holiday accompanying our customers, providing the required support to ensure they have a wonderful time away. In fact many of our staff tell me this is their dream job as they get to combine their passion for care, travel and holidays. I am certainly envious of some of the holidays they get to go on. The only downside to working hard to establish Altogether Travel over the past few years is that I haven’t had as many opportunities to enjoy a holiday myself as I would like; however thanks to exploring destinations for other people I certainly have a huge list of places I want to check out when the time comes! In the meantime I find it so satisfying when we receive a new request from someone who tells us they haven’t had holiday in many years then witness the happiness when they realise they can actually get away. You get a great sense of the excitement of counting down the days till they are off and then speaking to them when they return, seeing their holiday pictures and hearing their stories about what they got up to is fantastic. I love the fact that we are creating new holiday memories for our customer, something that will stay with them for a long time and allow them to dream of where to go next. I saw how beneficial it can be for people to continue to feel a sense of adventure. In my 7 years working in the travel industry I saw how beneficial it can be for people to take a break, experience new places and people, revisit beloved locations and continue to feel a sense of adventure in their lives. When I met Neil, he had been supporting people with dementia and carers for most of his career. We saw a lack of choice and control and a failure in the current system to offer anything which we would see as desirable if this illness were to affect us. Motivated by this, we decided to put our respective expertise together and offer a range of holidays and short breaks for people living with dementia and their carers to experience together. To date, we have delivered 57 holidays and helped over 200 people take a much needed break. In that time we have learnt a lot about travelling with people with dementia. Dementia affects people so differently and of course everyone with dementia is an individual. However, here are some basic guidelines that should be useful in everyone’s situation. First and foremost there is simply a need for extra pairs of hands sometimes. If you are planning a trip try asking friends and relatives if they would be willing to go with you. If they are in short supply or unable to help due to other commitments, try asking a volunteer or a befriending service. If money is not a barrier you can ask a home care provider to supply a helper/carer for a week. People who are helping should ideally be someone who knows the person well. If they don’t they will need to be thoroughly briefed on their needs and preferences. They are there to help and must be constantly vigilant and reassuring. 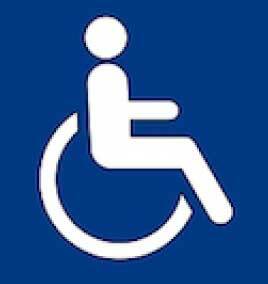 All the train companies and airports offer assistance for disabled passengers. You qualify for this service. Just because your “disability” is not visible doesn’t mean it isn’t valid. So use this service whenever you can. Being taken to the front of a queue and given a helpful hand along the way can make a huge difference to how stressful a travel experience is. Local visitor attractions will also have assistance services – always ask. From travelling to the venue, to walking around a stately home’s garden. Literally taking the time to smell the roses will bring great rewards. Making sure blood sugar levels are well topped up and that dehydration isn’t an issue will give you much more energy to enjoy yourselves. Savoury snacks or sweet treats like an ice-cream can provide useful incentives to go to places as well as welcome pick me ups in the course of a day. If at all possible everything should be well organised, booked and preferably paid for before you go. Don’t leave anything important to chance and have a framework upon which to hang your holiday – then the fun can happen! Do try to maintain a cheerful disposition. Even if something goes wrong try to adapt and move on. Don’t let it get you down, do something else instead. Having a stack of things such as jigsaws, photobooks and puzzles with you can be a helpful distraction in a difficult situation. People with dementia can be very sensitive to people’s moods and feelings so do be careful not to project any negativity. Make sure people are not too hot or too cold and have regular opportunities/prompts to go to the toilet – this reduces the risk of accidents. If your person is likely to take off in the wrong direction then buying a tracker like the one sold by Unforgettable is a good idea. Like Dementia Adventure there are other organisations who specialise in supporting people with dementia. Seek professional help if you feel you need that extra support. As well as us, you might consider: The Mede, Amy’s care, Mind for You, Revitalise, Cherish holidays. Dementia Adventure offer the first holiday in a calendar year at a rate subsidised by our charitable funding, so that as many people as possible can afford to access the help and support we offer. If you would like to talk about going on a Dementia Adventure holiday or how you can support us or volunteer with us, please call us on 01245 237 548 or go to www.dementiaadventure.co.uk. Ian Boyle, Short Breaks Coordinator at Dundee Carers Centre shares his views on why holidays matter. 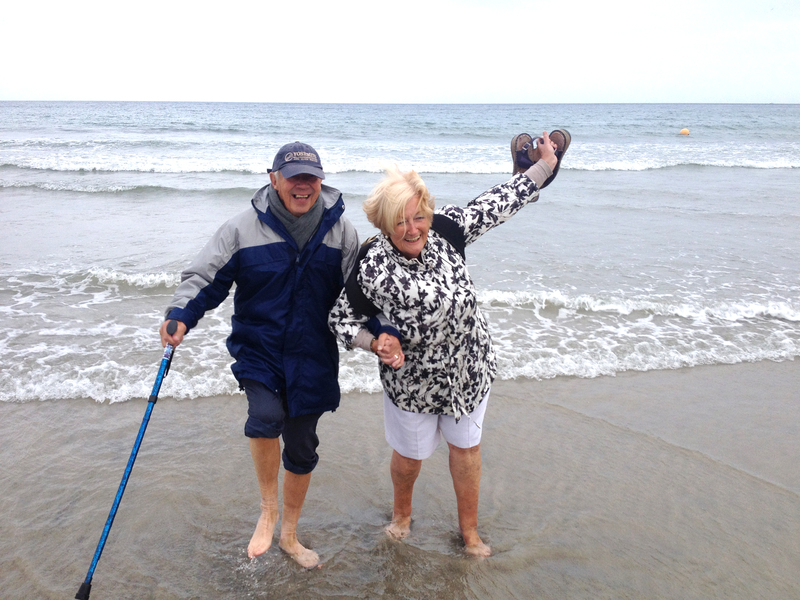 And why a short break doesn’t necessarily need to mean a holiday to mean a lot to a carer. When a carer is referred to our service for a short break the first thing we do is ask them to meet one of our brokers. Our broker will chat to the carer to identify their greatest area of need and design a break that will best meet them. Regardless of what short break is chosen, we work to make sure it is realistic, possible, achievable and positive. Brokers work hard to help the carer to find long term, sustainable solutions which work for them – and sometimes the cared for person too – and involve them in the process. A short break that is right for that carer can develop their confidence, give them enjoyment and help them to continue with their caring role. In helping to develop a carer’s confidence we also hope to reduce their dependency on the short breaks. We recently worked with a carer who came to us with no idea of what a short break could look like, let alone how she could receive one. Carer Laura looks after her husband who is very much housebound. 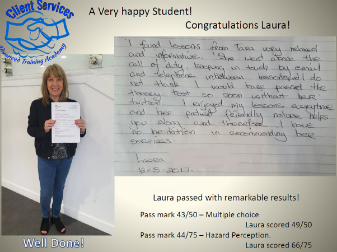 Laura couldn’t drive and this was beginning to cause frustrations: relying on friends and family to be taken to appointments, and not being able to go out left her feeling she had very little life balance, and increasingly isolated. After chatting with one of our brokers driving lessons were identified as the best way to benefit the carer to get a break. Being able to drive could give her back some confidence and help her actually achieve a life outside of the house for her and her husband. The lessons have already changed her life. She’s hoping to get back into employment one day, and being able to drive will help with this. Once she passes her test both she and her husband will really benefit. In the meantime, they have helped Laura re-focus and concentrate on something outside of her caring role. It has also reduced her anxiety level and helped her become more confident about the future. Why do holidays matter? Holidays help restore balance in our fast paced lives and give us energy to cope with life’s daily challenges. Holidays remind us that life is to be lived and that there is a world beyond home and work to be explored and enjoyed. Holidays are vital for strengthening family relationships and for our children’s development. Why do holidays matter? Try imagining for a moment your life without holidays and you’ll get the picture. It wasn’t long after starting at Shared Care Scotland that I came to realise just how much we can take holidays for granted. 1 in 7 people in Scotland are unpaid carers, caring for family members, partners or friends with a disability, a long term condition, or a drug or alcohol addiction. For many in this situation, holidays must seem a distant mirage. Having given up work because of their caring responsibilities, many carers will struggle financially to afford a holiday. And of course there’s the significant additional costs of a supported break, the lack of suitable, accessible holiday provision, the need for expensive replacement care, or simply the sheer mental effort involved in finding information and getting everything in place… on top of everything else. In truth there will be many thousands of people across the country who won’t be having a holiday this summer. Through this campaign we want to highlight that holidays are not a luxury but a necessity and should be available to all. 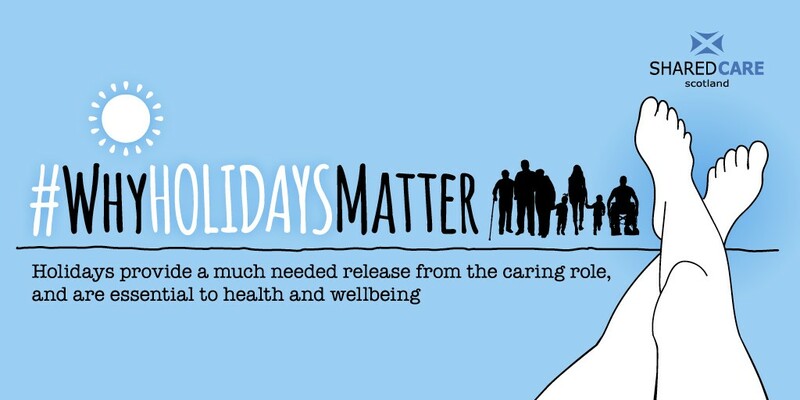 We want to promote support for holidays as a cost effective way that statutory services can sustain carers in their caring role, in good health. We want to improve access to information about breaks and other forms of help so that carers are not left to fend for themselves. Fundamentally, we want this campaign to generate action that leads to more carers and cared-for people getting the break they deserve. Please join in the conversation and show your support. 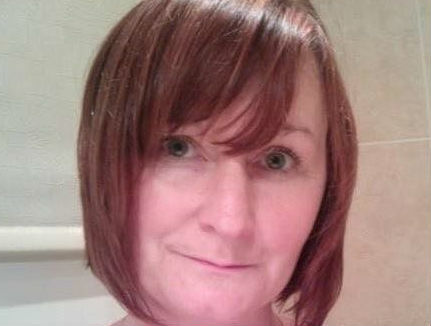 Getting away as a carer isn’t easy; Lynn, who writes as Carer49, blogs about the challenges as the “Why Holidays Matter” campaign gets underway. It’s that time of year when families start to prepare for their summer holiday. Schools finish up soon, bags are being packed and people begin their journeys to sun, sand and fun – or a wet tent on a windswept campsite. For many others, however, having a break from the daily routine remains a dream. This could be because of poverty, because of ill health or because of caring responsibilities. For carers, watching the annual get away can be emotional; the practicalities of planning and taking forward a holiday with your loved one can be overwhelming. How do you transport medical equipment? Is there a good hospital or GP surgery nearby? What if you need to get home because the person you care for is ill? Getting away is also a bit of an undertaking for my husband and me; it involves all of the above, and packing medical supplies, pads, our hoist, lots of clothes and medication. It’s a bit like packing for a massive Antarctic expedition! Even a short break is hard work and getting away remains very dependent on my husband’s health. I think we’ve had to cancel four holidays over the last few years because the very thought of being transferred into the car and being driven to somewhere which isn’t home was just too much. An emergency admission also ended the prospect of a lovely holiday in Skye. With all of these challenges in mind, planning a holiday becomes even more stressful and it’s often easier just to stay at home. Respite for carers is a complex issue: governments and officials can bandy the term around without considering what it really means to access a break of any kind. It’s not just about packing up and going somewhere, as much as you would want to. Getting away can also be a bit of a busman’s holiday for carers. Your caring role doesn’t stop – it just moves to a different location. That works for some, but for others, the idea of getting away from caring is a dream unlikely to come true. My only real break from caring recently was respite provided by my local Carers Centre to allow me to recover from surgery. Getting to that point wasn’t easy – it involved emergency planning, fitting equipment and agreeing care and support. All for an overnight stay and a recovery period of just a few weeks. This is the reality of caring and short breaks. More broadly, the challenges facing families with disability and carers include the inconsistent and often baffling approach to implementing self-directed support. For one carer I know, planning a short break away with her son is relatively easy and has great benefits for both. Yet, in the same local authority area another family is prevented from doing the same. These issues, alongside waiting lists for respite support, are areas which I think the new Carers Act is unlikely to address. It is good that the #whyholidaysmatter campaign will bring these issues into the public domain. In doing so, it mustn’t water down or skirt over the way in which families with disability are treated. Getting away for a break is important for everyone – it’s about recuperation, relaxing and looking after you. Unfortunately, for so many families, the challenges in achieving this are often insurmountable. Our Respitality Developer has just embarked on her latest adventure: retirement. Here she tells us why holidays matter to her. Last October we went on holiday to Gozo and took the opportunity to go kayaking. Living in Edinburgh, it’s not the type of activity that we would ever contemplate doing. Too cold, too difficult to find somewhere to try it out, too busy! So we saw a kayaking tour advertised and my husband was very keen. He had never tried this before and I had to tell him something he didn’t know about his partner of 30 years! Being brought up in Largs and a keen Guide meant I had some considerable experience of canoeing. It never seemed relevant before. So we booked on the kayaking tour. I was lead paddler! We explored the coast, worked as a team and showed the younger participants a clean pair of paddles. We will look out for kayaking trips in the future. 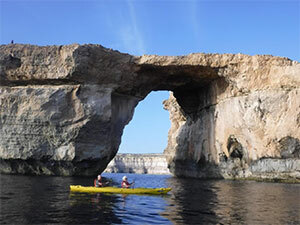 The picture shows us kayaking in front of the Azure Window in Gozo. It’s now a very poignant picture as this world famous landmark was destroyed in storms in March 2017. So why do holidays matter? – Learn that you have many talents – some hidden! – Take opportunities whilst you can. “Holidays for all!” … and no need to be ashamed about it. 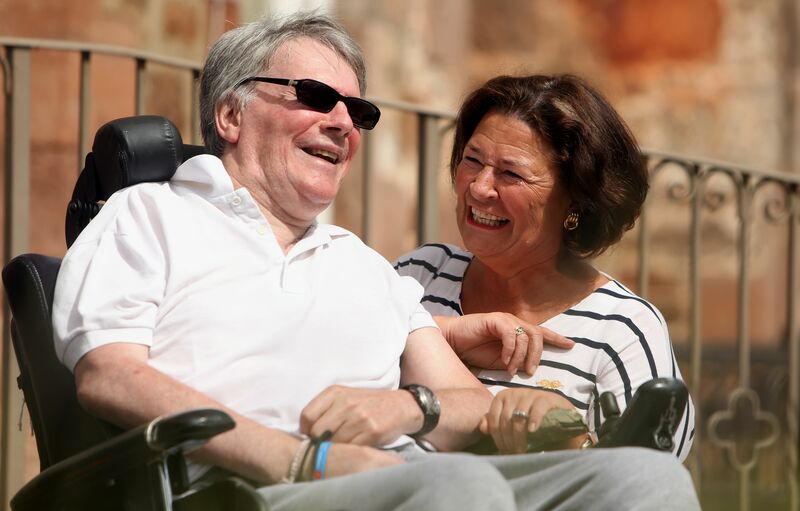 Philip Bryers, Chair of Shared Care Scotland blogs on why holidays matter to him. There was a stage in my working life when it was a badge of pride to reach the end of the year with unused annual leave. There were also times when I went off on family holidays with a large bundle of paperwork which took half the week to process before ‘holiday proper’ could begin. This was before the all-pervasive presence of instant communication when – however far you go – the i-pad and the mobile can still find you. It was before anyone came up with the phrase ‘work-life balance’ too. I guess things have changed but nothing can beat a ‘real break’ with all thought of the office banished, and a determination to let an ‘Out of the office’ message take care of all work-related intrusions. We all need to ‘switch off’, to have a change of scenery, and to slow down now and again. There’s truth in the imagery of ‘recharging your batteries’ as anyone knows who has experienced the surge of energy and achievement which is released by a ‘proper break’. All this is as applicable to carers as to employees, so why not be up front and say loud and clear that we all need holidays – and that includes carers. Or we could give those in paid employment an ‘allocation of respite’ in place of their ‘annual leave entitlement’. I don’t think so! So let’s stop being mealy-mouthed and be up front with HOLIDAYS for carers. They, above all, need holidays and the restorative boost a proper holiday can provide. Important: Opinions expressed by bloggers are their own and don’t necessarily represent those of Shared Care Scotland. If you’re a carer thinking about a short break, or a holiday, we can help. An organisation providing short breaks or holidays? If you’re thinking about a short break, or a holiday, we can help guide you through the steps in planning a break that will work for you and the care needs that you have. If you’re interested in finding out more about short breaks and why holidays matter, we can point you in the right direction. Holidays Matter is a network of different organisations – including Shared Care Scotland – who are committed to ensuring everyone has the opportunity to benefit from breaks away from home. Their wide ranging collection of research on holidays can be accessed via their website. You too can join our conversation on why holidays matter. Here’s how you can take part. Our Thunderclap on Friday 23 June kicked off the conversation in style – thank you to everyone who took part. You can continue to show your support on social media over the summer period. Download one of our social share images, or our #whyholidaysmatter sheet, tell us why holidays matter to you – maybe its time to relax, time with your family, or just a break from the usual routine? – take a snap and share it on social media with the hashtag #whyholidaysmatter. Don’t forget to tag us @carebreaks. Let us know if you’ve got a story to tell. If you’re a carer and have felt the benefit of a short break and you’d like to share that, we can help. Or maybe you’re a provider of short breaks and you can see the benefits every day in the work that you do too. Get in touch and tell us why holidays matter to you too. We’d love to hear from you. Tell your friends. Please share the conversation far and wide, and keep checking back here – we’ll be adding blogs regularly between now and September.